694 Inca Parkway - RENTED | Robinson Investment Company, Inc.
Gate entry to 694 Inca Parkway from carport. 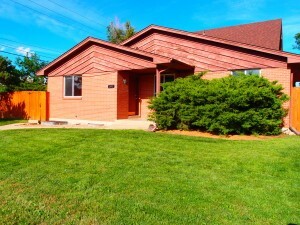 694 Inca Parkway has a beautiful private yard that is fully enclosed by a 6 foot fence. 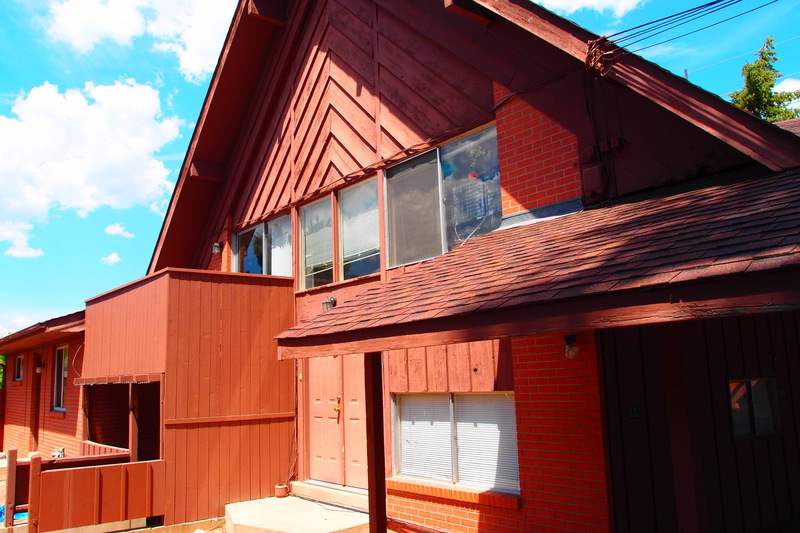 This 2 bedroom 1 bath unit is part of a 4-plex at the corner of Inca and Baseline. 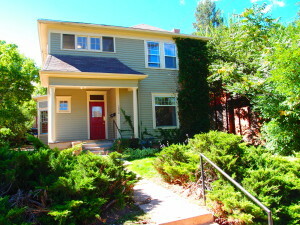 It includes a fenced in yard and has easy access to CU and the Foothills Parkway. Available in August 2016 for a one year lease. Rent is $1795 with a $1795 deposit. Utilities are not included. Have a pet? Ask us, we accept cats and most dog breeds. 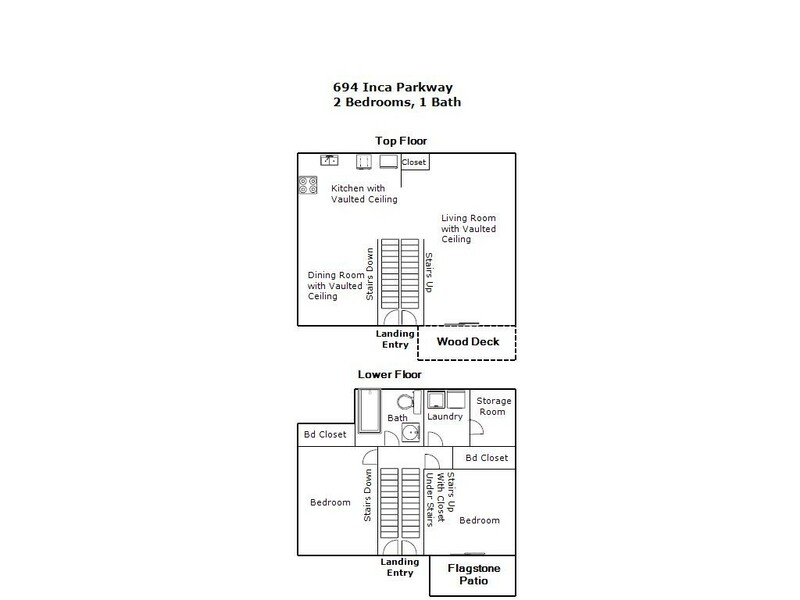 This 2 bedroom 1 bath unit is 2 levels. The upper level is an A frame and features beautiful vaulted ceilings with huge windows beaming in tons of natural light. The large kitchen includes a dishwasher and includes a dining area next to the huge windows. You’ll love the balcony off the upper level living room with the beautiful view of the Flatirons. The 2 spacious bedrooms with large closets are located on the lower level along with a bathroom and utility/storage room with a washer dryer. 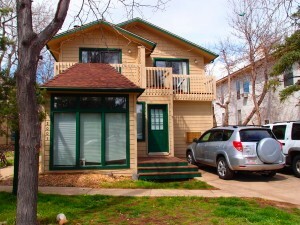 One bedroom has sliding glass door access to the outdoor flagstone patio and fenced in yard. This unit also includes one off street carport style parking space. 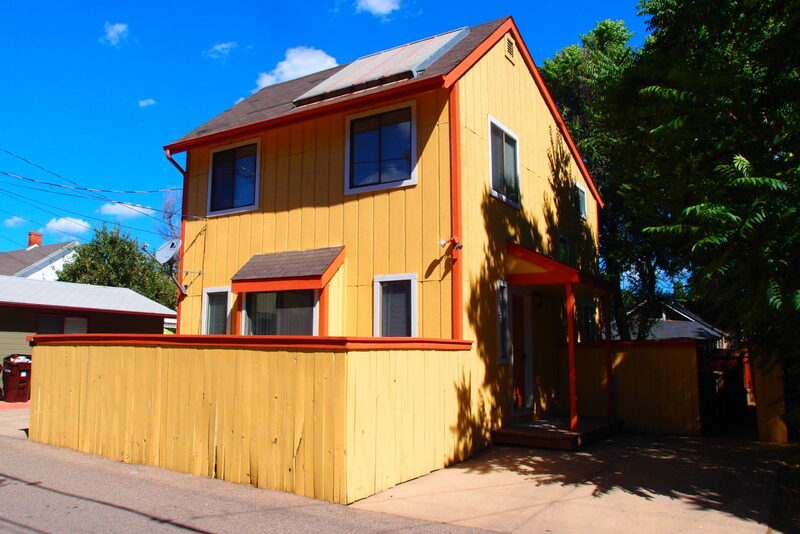 Please note: per City of Boulder rental housing regulations, occupancy for this unit is limited to 4 unrelated individuals. 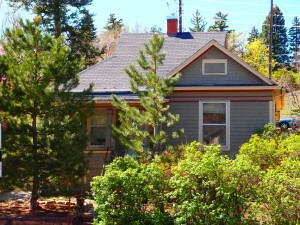 The rental license number for this property is RHL–0001108.